RICB is swiss based company focused on the development of detection technology based on an antibody mobilized BIO-FET silicon nano detection chip, which is capable of detecting specific and quantitative bio-markers in body fluid. The AIMME is a unique IVD detection system for the detection of oncomarkers. 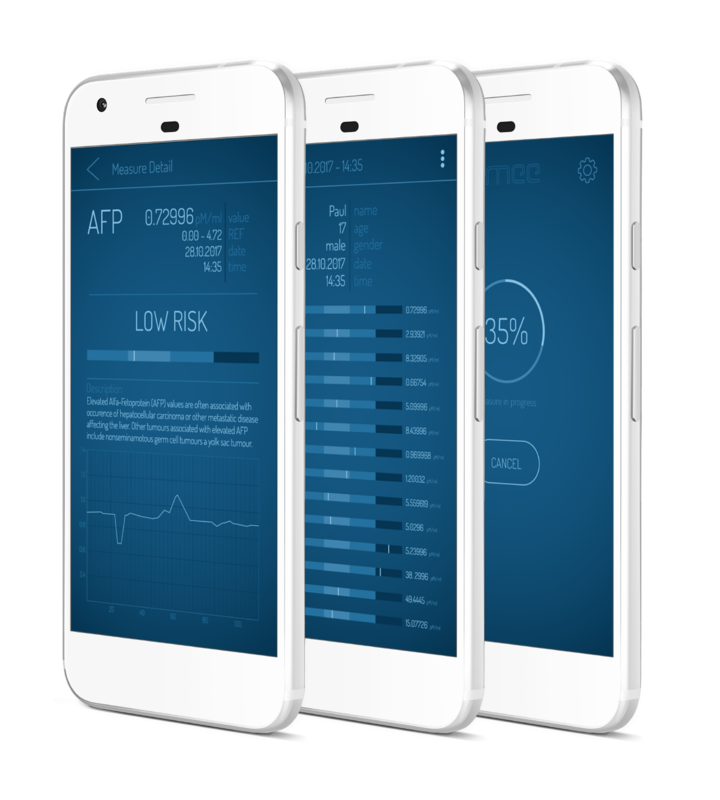 It presents several interesting technological advantages, which provide a great opportunity to make it easily available for both the patients and medical professionals. 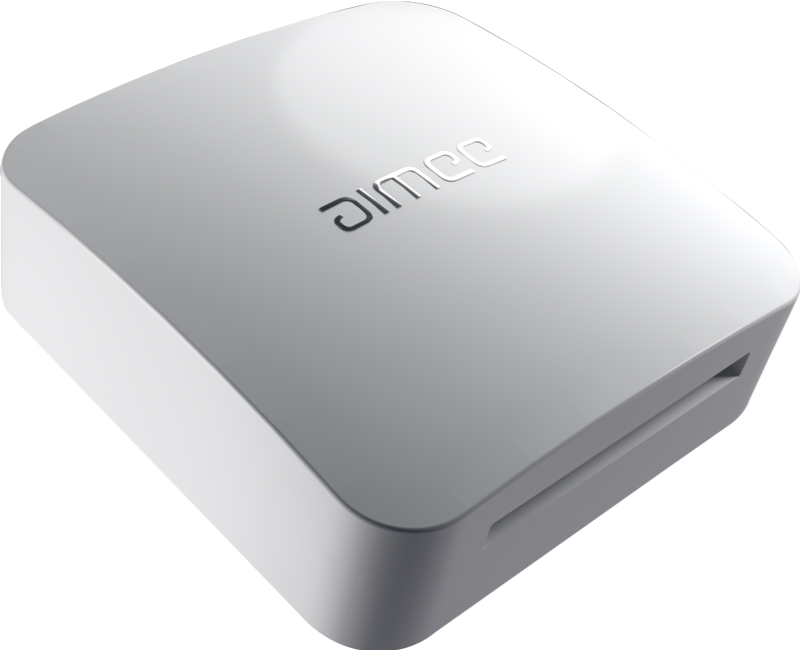 The concept of AIMEE, since the very beginning, has focused on the easy, precise and fast detection of cancer. This approach has been inspired by the analyses of currently used laboratory methodology. These are time-consuming and require an appointment at a doctor's. 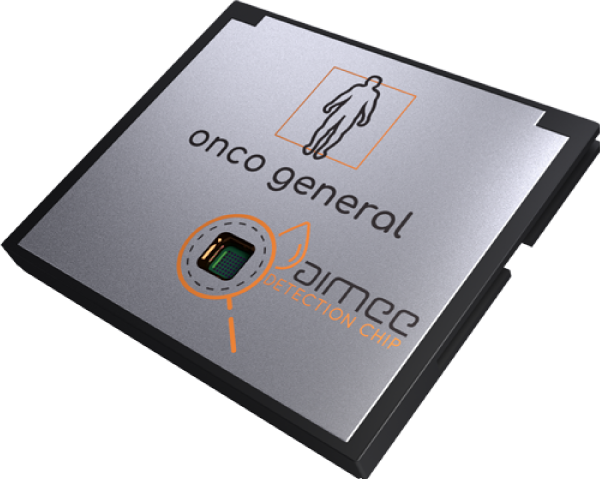 Our detection system consists of an AIMEE detection device (reader unit), an AIMEE detection card, also the evaluation software and it represents a tool to show the results in an easy and clear way. The blood sample, which is easily prepared using our preparation kit, is placed onto the sensor of the detection card. After a short wait, the detection card is read using our reader unit and the measurement data is automatically sent using Bluetooth to your Smartphone. Using the AIMME evaluation software, you then receive the information about your oncobiomarkers.